Here at Orlando Ticket Deals, we’re giving you all the latest information and breaking news on Disney’s FastPass+ as it happens. Check out some of the most frequently asked questions that will get you fully up to speed with all that is happening and if you want to know anything else, you can get in touch with our team of experts, all of whom are fully trained on FastPass+. Give us a call on 0800 542 1280 or email us at sales@orlando-ticket-deals.co.uk and we will be very happy to help. 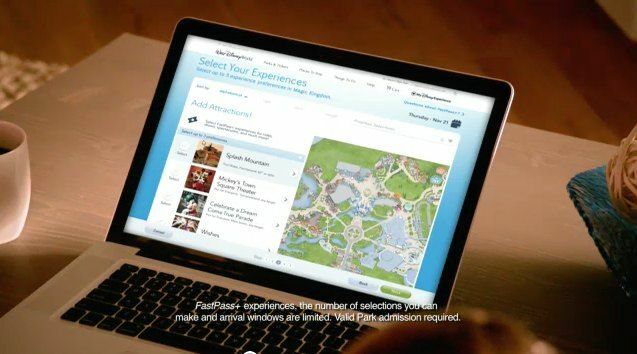 Disney FastPass+ allows you to reserve selected attractions, shows and Character experiences before you even leave home. This enables you to pre-book a time at some of your favourite attractions so you can skip the standby line and get to the fun faster. You can pre-book up to 3 Disney FastPass+ per day, all of which must initially made at the same park. Once you have used all of them you can book an additional FastPass+, which must be used before making another. The idea of Disney FastPass+ service is that by planning your time in advance, you maximise your time in the Disney Parks. This way, you get to spend quality time in the Parks with your family and friends, allowing you to savour every magical moment! All the following benefits can be booked in advance of your arrival. You can also take control of your itinerary on the go using Disney’s super-fast WiFi internet access, which is available throughout the Resort. Plan your time at Walt Disney World Resort in Florida using a great range of online and mobile tools (including an app) to help you take control of your holiday. Reserve ride times for your favourite attractions every day of your holiday. Reserve a window to visit selected entertainment experiences, Character Greetings and viewing areas for parades and fireworks. Make reservations at your favourite park restaurants 180 days in advance of your trip. What's the difference between FastPass+ and My Disney Experience? Disney FastPass+ service allows you to reserve selected attractions, shows and Character experiences before you travel. This enables you to pre-book a time at some of your favourite attractions so you can get to the fun faster by skipping the standby line. You can pre-book up to 3 Disney FastPass+ per day, all of which must initially made at the same park. Once you have used all of them you can book an additional FastPass+, which must be used before making another. Plan your holiday at Walt Disney World Florida and familiarise yourself with all the rides and attractions available. Use some great planning tools such as park maps which highlight the top attractions in each park. Make dining reservations up to 180 days in advance so you can make the most of your time in the Parks. Access Disney’s FastPass+ to pre-book your rides and attractions. Link your family and friends to your profile so you can share plans together. View your day-by-day plans, including all your dining reservations, Wish List items and FastPass+ arrival window times. Why should I book my Disney tickets through Orlando Ticket Deals? Orlando Ticket Deals will send you ‘ready to use’ FastPass+ Disney tickets as soon as your payment has been processed in full. We can guarantee delivery within 7 days completely free of charge. If customers choose to book through a travel agent they will only receive their tickets a few days before they depart and therefore will not be able to take advantage of the full FastPass+ experience. Therefore the earlier you book with us the better! At Orlando Ticket Deals, our information comes directly from Disney and all of our staff are fully trained and ready for your questions on FastPass+ and My Disney Experience. Please contact us directly for any further help you may need, we are here to help! Do your Disney tickets include FastPass+? Yes, all Disney tickets sold by Orlando Ticket Deals will now include FastPass+, allowing you to benefit from all the FastPass+ features. What's the difference between MagicBands and Cards? Cards will be issued to off-site guests. Anyone who has bought a ticket only without a Disney Hotel will be issued with a Magic card. The card, like the MagicBand, contains your ticket details and has been designed for off-site guests convenience around the Parks. MagicBands are issued to Disney Resort Hotel guests. Any customers staying at a Disney Hotel will be issued with a MagicBand. These include the room and ticket details (plus dining if purchased) and are designed for on-site guests to wear for convenience. On the reverse, you will be asked to sign your card before you activate it. The ticket number in the bottom left corner is the number you enter to complete your My Disney Experience profile, so you can begin to personalise your holiday plans. Can I swap my card for a band? Guests not staying at a Disney Resort Hotel will be issued with a card, however should you wish to change this for a MagicBand, then this can be done at the parks, although there is a charge to purchase the MagicBand. My Memory Maker is Disney’s Photo Pass package. If you are travelling in 2016/2017 onwards, this will be included in the price of your ticket and enables you to have professional quality photos taken of you and your group throughout the resort and loaded to your MagicBand or card. You can then view and download these free of charge when you return home. Q: What happens if I miss a reserved ride time or I want to make a change? 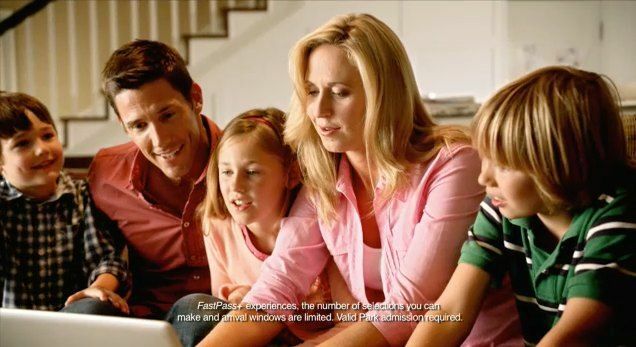 Changes can be made before you arrive at Disney or on the day using the free WiFi that's available throughout the parks. Simply by logging in to My Disney Experience, guests have the flexibility to change their plans on the go. If you miss a time, don’t worry! Providing there is availability later in the day, you can simply move your pre-booked ride time to a time that suits you. If you need more help, kiosks are available throughout the parks so you can access My Disney Experience directly from there. Alternatively, Cast Members are on hand to help and revised print-outs of your new itinerary can be provided. Q: How far in advance can I make restaurant reservations? Any restaurant reservations can be made up to 180 days in advance of your trip to Disney.